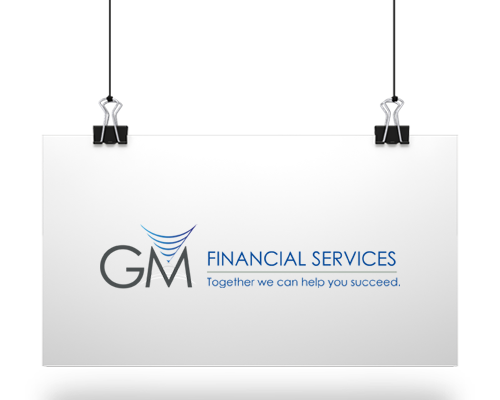 GM Financial Services has a well-established footprint since 2002. We've assisted more than 600 contractors within the engineering and guarantee insurance market with products from reputable insurers in South Africa. We have comprehensive knowledge in this field and detailed products to meet all our client’s needs. We construct guarantees, which are written undertakings by an institution on behalf of a party to pay an agreed amount. A guarantee is a written undertaking by an institution, (the guarantor) on behalf of a party, (the principal) to pay an agreed amount to another party, (the beneficiary) if the principal defaults in terms of the contract between them. Insurance backed Guarantees do not require 100% collateral. In a challenging environment and economy whereby cash is king for every contractor, the insurance backed guarantee does not place un-due burden on the cash flows of the entity. Enable the contractor to bid for bigger contracts as the guarantee collateral required is reasonable. All collateral held by Insurers earn Interest which is returned to the client should there be no potential claim on the Guarantee. Once a guarantee facility has been put into place the issuing of guarantees are effortlessly. Some contracts make provision for Employers / Principals to pre-finance a contractor by making payments before commencement of the contract. The Employer / Principal secure such a risk by requiring an advance payment guarantee / bond in return. Usually, the guaranteed amount will decrease in accordance with the percentage of the work certified. The guarantee / bond will be equal to the pre-financed amount - usually 30%. This is most probably the most common form of guarantee, which protects the Employer / Principal against the risk of the contractor failing to comply with the conditions of the contract. Traditionally, the guarantee amount is equal to 10% of the contract sum. However, recently the new format JBCC "fixed" (7.5%) guarantee or "variable" (12.5% reducing to 2%) guarantee was introduced, of which the latter version includes a retention provision. The bonds effectively replace the actual retention fund. Most contracts make an allowance for the Employer / Principal to retain a percentage of the funds payable to the contractor during the construction period as a form of security against default or defective work. A portion of the funds retained is paid out at the end of the construction period and the balance at the end of the maintenance (defects liability) period. Funds that released with a guarantee / bond significantly enhance working capital. The type of bond is required at tender stage of a project and normally lapses 90 days after the tender validity period. "South Africa has identified electricity as being a possible hinge on growth due to the increasing demand. With high level of renewable energy potential a target of 10 000 GWh with 3 725 to be generated from renewable energy sources has been set as the new target to ensure that electricity demands are met with, which is in accordance with the capacity allocated to renewable energy generation in IRP 2010-2030. The Department of Energy has established the Renewable Energy Independent Power Procurement Programme ("REIPPPP") that has been designed so as to contribute towards the target of 3725 MW and towards socio-economic and environmentally sustainable growth, and to start and stimulate the renewable industry in South Africa." In keeping with the GM financial Services culture of solutioning an employer, relationships have been created with guarantors in the market to provide insurance backed capacity with a total guarantee capacity in excess of R 1.5 billion per project. Bid Bonds, preferred Bid Bonds, as well as the performance, retention guarantees and advance payment guarantees form part of the suit of products offered. We endeavour to deal only with insurers who possess a global credit rating of A- or above as far as is practically possible. This ensures the easy acceptance of guarantees. Most astute employers do not accept guarantees from an inferior-rated company, or guarantees issued under the National Credit Act (NCA) as the claim settlement abilities are poor in case of the former or unknown in the latter. This unique policy covers projects relating to Government's Renewable Energy Independent Power Producer Programme (REIPPP). Operational All Risks, Business Interruption, Third Party Liability Available capacity for wind, solar and biofuels is in excess of R 3.5 billion per project. This policy provides protection for Principals, Contractors and Sub-Contractors, covering construction projects, against physical loss or damage to the works during the construction phase. The projects can range from construction of domestic dwellings, office blocks, water and sewer reticulation, roads, bridges or any other infrastructure development or process plants. The policy can also provide protection for the Employers’/Contractors’ Legal Liability, in the event of injury or damage to third party persons or property, arising from execution of the works. This policy is designed to cover construction, mining and other mobile and non-mobile plant / machinery, against loss or damage whilst situated on site or in transit to, or from site. The cover can also apply to plant hired in or out by the employer and can cater for hiring costs following indemnifiable damage to the plant insured. The Machinery Breakdown policy caters for sudden unforeseen physical damage to plant and machinery at the insured’s premises/factory. The cover includes damage resulting from dismantling and re-erection of machinery within the Insured’s premises. The machinery can range from small refrigeration compressors and electrical motors, to all types of machines used in mining, manufacturing and materials handling. The policy caters for loss of Gross Profits or Increased Cost of Working (I.C.O.W. ), resulting from a reduction in turnover following sudden unforeseen physical damage to plant and machinery covered under a Machinery Breakdown policy. The policy is designed to cater for deterioration / spoilage of perishable goods held in cold storage facilities resulting from fluctuations in temperature caused by sudden unforeseen physical damage to machinery, such as the refrigeration plant, where cover is provided by a Machinery Breakdown policy. The Dismantling Transit and Erection policy provides cover for the movement of machinery between premises, and includes the installation, as well a testing and commissioning of new machinery. The cover can be extended to include Third Party Liability arising from the insured’s operations. This policy is designed for the protection of manufacturers against damage to their products during the manufacturing process and or the property in the course of manufacturing arising from impact caused by collision, dropping, swinging, overturning or collision at the manufacturer’s premises. The above policy provides cover for electronics equipment in its widest spectrum of use. The cover is on an “All Risks” basis, covering fire, theft, surge damage, malicious damage and electrical, mechanical derangement. The equipment that can be covered by this policy ranges from P.C.’s (desktop computers) to medical apparatus, PABX’s (telephone exchanges), mainframes and laptops. The policy can be extended to include Increased Cost of Working (I.C.O.W.) and Reinstatement of Data (R.O.D.). We design policies to indemnify the insured professionals against their legal liability to pay compensation for damage. All types of broad form liability such as product guarantee, liability for security companies & Cleaning service companies. 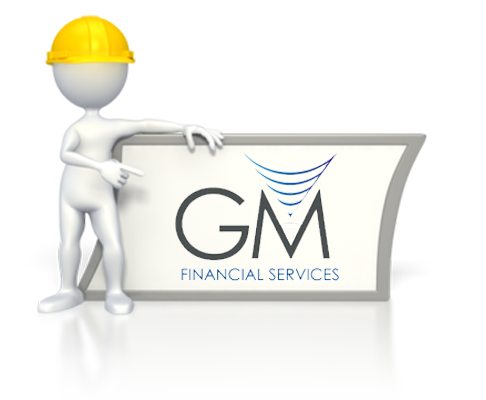 GM Financial Services is a registered financial services provider. FSP number 13628.